The scenarios below are based on real-life diving incidents documented by Divers Alert Network (DAN). After surfacing from an 80 foot (24 meter) dive, a diver experienced nausea and pain between her shoulder blades. It was her first dive of the day, and her 12th dive overall during a six-day diving holiday. “I was given oxygen as I reclined in a hammock at the dive shop.” she said. I was really uncomfortable in the hammock…when I tried to get up, I could not move my legs or wiggle my toes. I had a pins and needles feeling along both legs. After three sessions in the chamber, the diver has lingering symptoms in her legs. An MRI did not reveal any abnormalities, and the diver continues to dive (albeit conservatively). DAN’s expert who reviewed the case, suspects this diver experienced a decompression injury of the spinal cord. Muscular leg weakness after a dive should always be treated as an emergency, and divers should receive a full neurological evaluation, first aid oxygen, and evacuation to the nearest emergency room, where proper steps can be taken to ensure timely treatment and the best possible outcome. The use of oxygen first aid increases the probability that symptoms will resolve and should be started as soon as possible. In this case, after 45 minutes of breathing oxygen, symptoms improved but did not resolve completely. Breathing oxygen for a longer time could have helped. After a 40-minute wreck dive to 78 feet (24 meters) and one hour surface interval, a group of divers made a second dive to 78 feet (24 meters) for about 45 minutes. One diver, a 58-year-old male, dived with air while many others in the group used 33% Enriched Air Nitrox. The diver received emergency oxygen nasally (the only administration option available) while paresthesia spread to his left big toe and foot. The return trip took just under two hours, and the boat was met at the dock by emergency medical services (EMS). The diver was taken to a local hospital. This dive profile would fall outside the limits of most, if not all, recreational diving table planners but the diver stated his dive computer did not mandate decompression. This may have been due to a number of reasons, including multi-level profiles in each dive, or the gas setting in the dive computer. Regardless, the diver suffered what appears to have been DCS. Many other divers on the boat elected to dive with nitrox, which gives a longer no-stop time than air at these depths. We will never know what caused this diver’s DCS, but when planning long dives to depths that approach the recreational time limit for air, using nitrox adds a measure of safety. Remember, proper training is required to plan dives using nitrox. Contact your local PADI Dive Center or Resort to learn more about diving with Enriched Air Nitrox. When a dive buddy pair is unexpectedly separated at the beginning of a mandatory decompression stop, one of the divers aborts her decompression obligation prematurely to look for her buddy. After surfacing and realizing her buddy was headed back the boat, the diver re-descended to resume her safety stop. While underwater, the diver felt nauseated. She descended to 23 feet (7 meters) where nausea and general malaise dissipated. After a few minutes, she ascended to 13 meters (4 feet) and noted the nausea did not return. Soon after, she surfaced. Twelve hours later, the diver experienced discomfort and mild pain in her right upper extremity – which evolved into complete paralysis in her arm after six hours. She was then routed to an emergency room and referred by DAN to a recompression facility. Divers should avoid, by any means, interrupting a mandatory decompression. 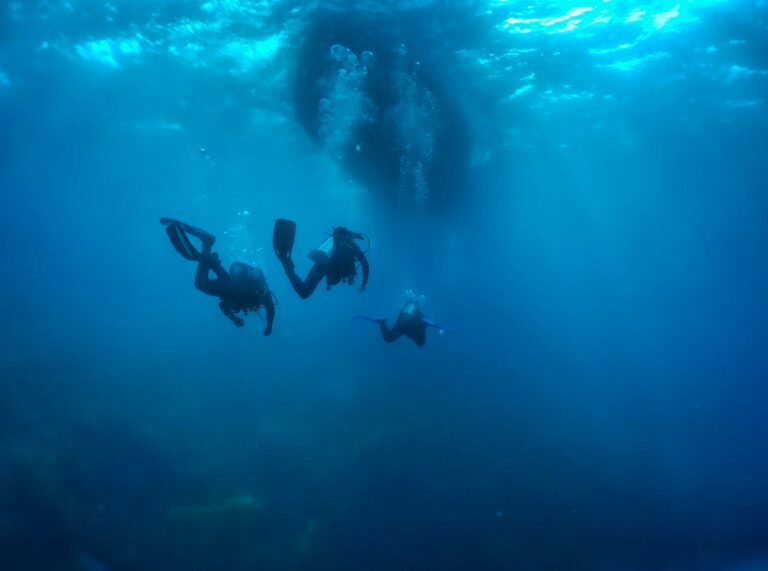 A diver should consider every possible event that could compromise a planned decompression. Buddy separation is something that can happen, and prevention and procedures should be discussed during the dive planning, before entering the water. 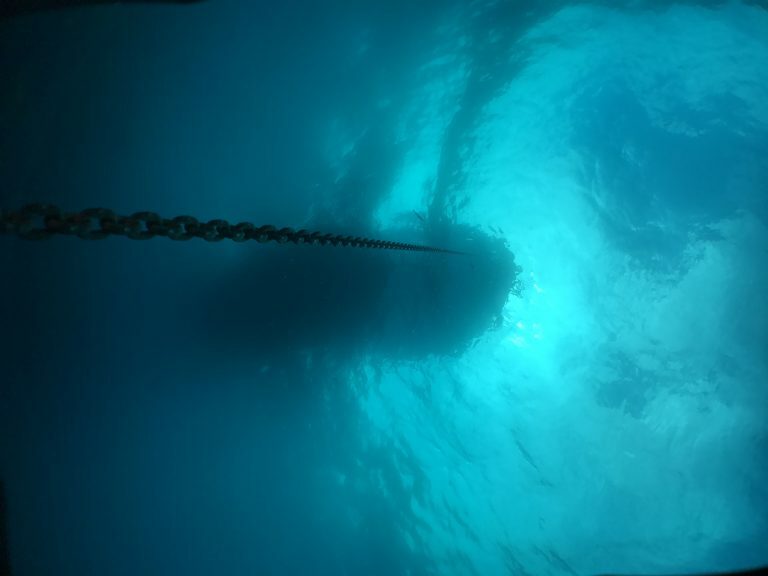 A significant barometric change during the decompression stage can lead to a significant bubble formation, which could result in decompression sickness. Even with the simplest dives, decompression obligations should be executed according to what was previously planned. When a decompression obligation is not completed as planned, it is wise to keep the diver under observation for the following hours after surfacing. In some cases, chamber recompression is recommended, even in absence of clinical DCS. In any case, divers should feel free to contact DAN if deemed necessary.